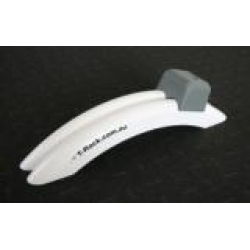 T-Rack Pro is a robust fibre glass version of the T-Rack. It would suit gyms, clinics, football teams or the person over 100kg's. T-Rack Pro is the exact same shape, marginally lighter and the same to better finish.